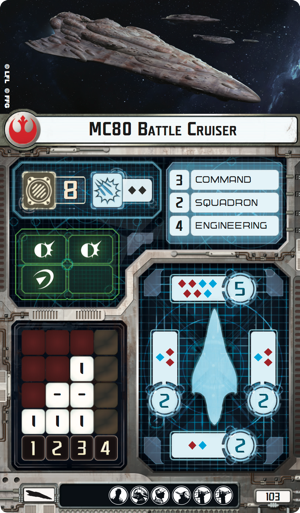 With either type of Mc80 you take, you will be getting 7 attack dice on your front arc. 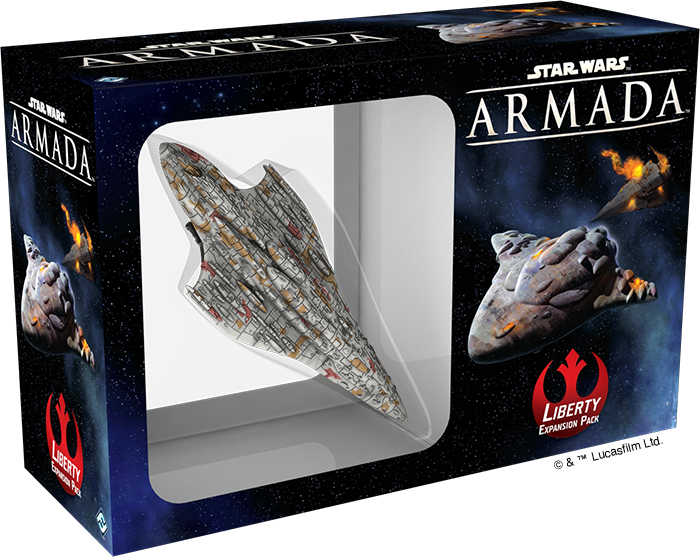 So you'll definitely want this ship pointed right at the biggest enemy target you can find. 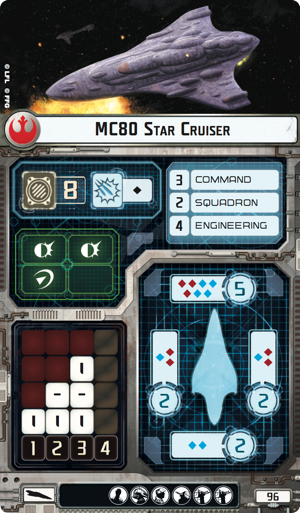 Just don't expect a lot when you move to broadsides. Attack dice there get more than cut in half, down to only 3. 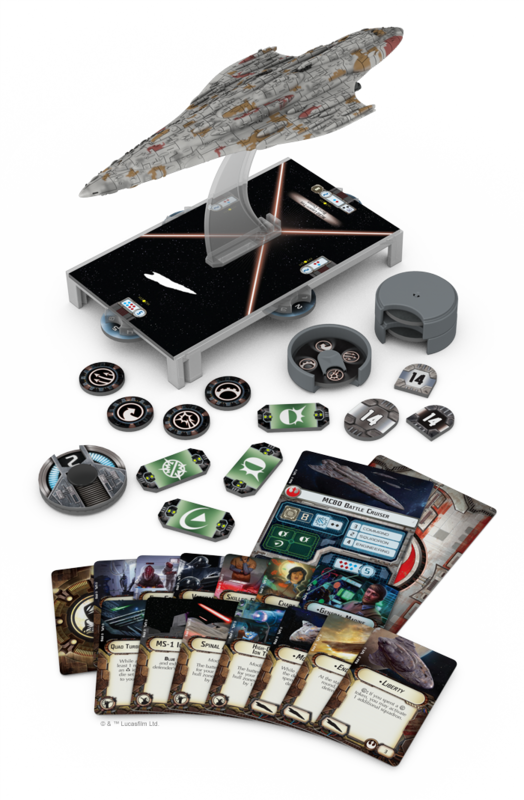 However, the various upgrades that come with the set can help make sure you do get those devastating front-shots you'll be looking for.